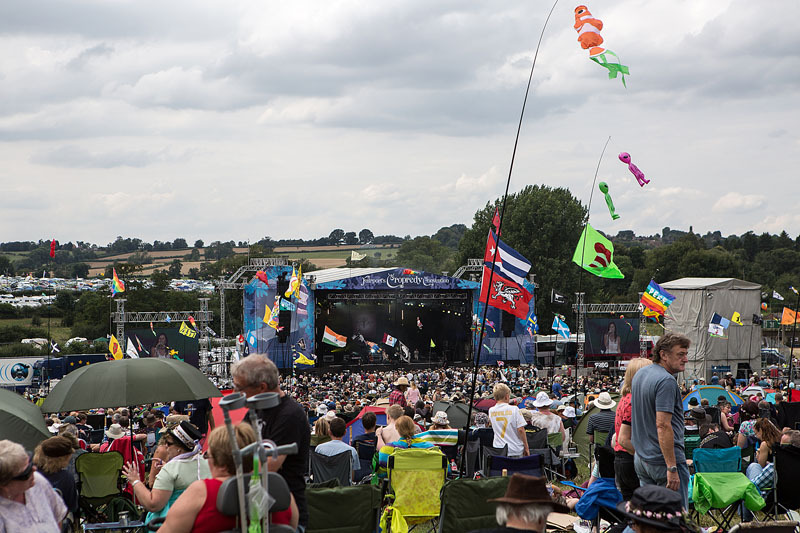 Share the post "Gig review: CROPREDY, 7-9 August 2014 featuring STEVE HACKETT, MARILLION & FAIRPORT CONVENTION"
It’s that time of year again when the time village of Cropredy opens its fields in preparation for the little party that Fairport Convention throws every year. Some 38 years ago they decided to have a shindig with 750 people and from there it has grown to what we have today, 23,000 packed into the single event field and stage in a format that works. You don’t have to move from stage to stage as there is only one, you don’t have to decide on bars as there is only one (albeit one of the longest outdoor bars I have seen), you do have a wide choice in food though – from sausages to Goan curry and pretty much most other things in between. And there is also the usual array of festival stalls wanting to sell you everything from the latest festival hats and clothing to instruments you would dearly love to be able to play as well as the musicians on stage or in the impromptu jam sessions that set up round the site. This year the festival was sold out 2 weeks before the start which only usually happens on the special years. Maybe it’s the leaning towards the prog side with acts like Steve Hackett performing Genesis, Australian Pink Floyd and Marillion or maybe it’s the pulling power of Chas & Dave – who knows but it’s a busy one. As tradition goes, and Cropredy is all about traditions, Fairport open the festival with a quick acoustic set where they welcome one and all to their little gig, it’s all low key and laid-back as they perform a few tracks including ‘The Festival Bell’ before they are joined onstage by the first band or should I say ensemble as there are 46(?) of them – Joe Broughton’s Conservatoire Folk Ensemble. Such was their ingenuity that when one of the stage generators decided to blow a seal and become the biggest smoke machine ever they broke out into an impromptu rendition of ‘Smoke On The Water’. 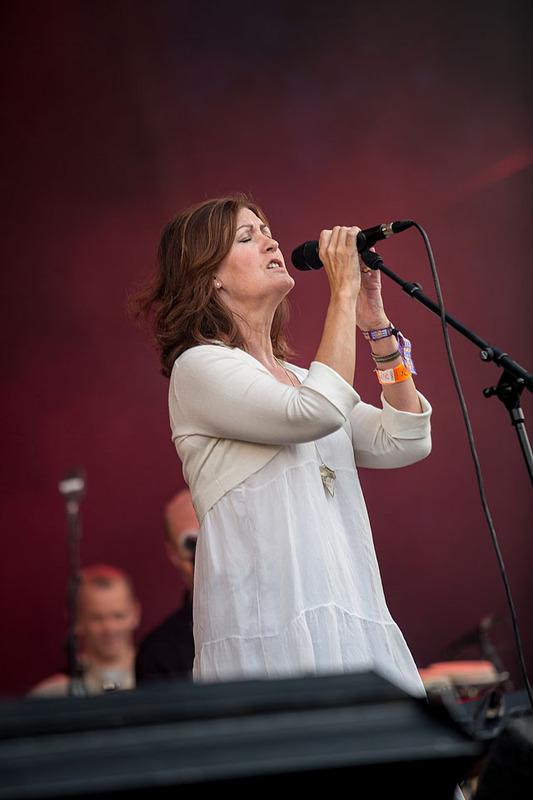 Following on Capercaillie with a great blend of Scottish folk music mixed with the divine voice of founder member Karen Matheson effortlessly singing in both Gaelic and English; the gaelic songs were simply wonderful and it didnt matter that the meaning was unknown as the emotion was so powerful through the lyrics. They played a number of tracks from their latest album At The Heart Of It All. It was evident that there were a huge number of people here just for the prog side of the weekend and as the first of those artists was getting ready to come onstage the numbers around the front of the field swelled. 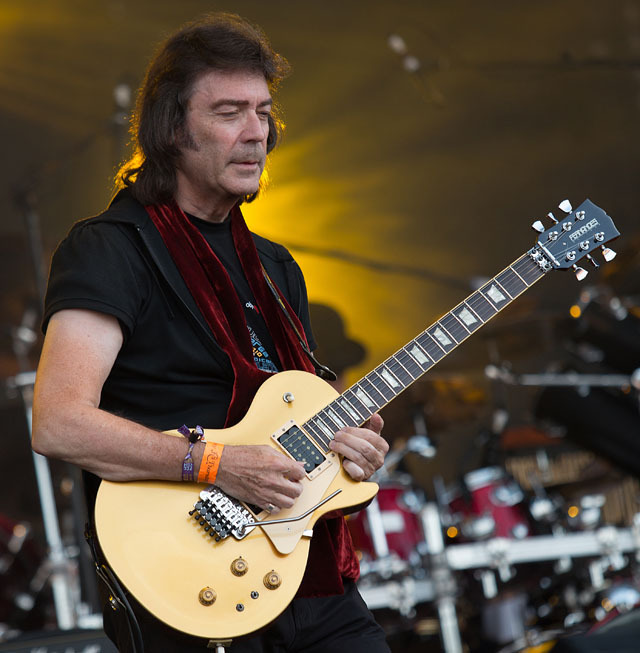 Steve Hackett who during his 7 years with Genesis contributed to six studio albums and three live albums and is currently touring the Genesis Revisited/Extended tour, extended due to the overwhelming demand at the previous shows. He has bought together a group of crack bunch of musicians with Nad Sylvan on vocals who, despite looking like he lost the fight with the makeup pen, delivered excellent vocals throughout the set. The setlist favoured the so-called classic era of 71-75 and included ‘Dance On A Volcano’, ‘The Musical Box’ and ‘Suppers Ready’. Hackett’s guitar work was unquestionably brilliant and seemed to be enjoying every bit of the set. 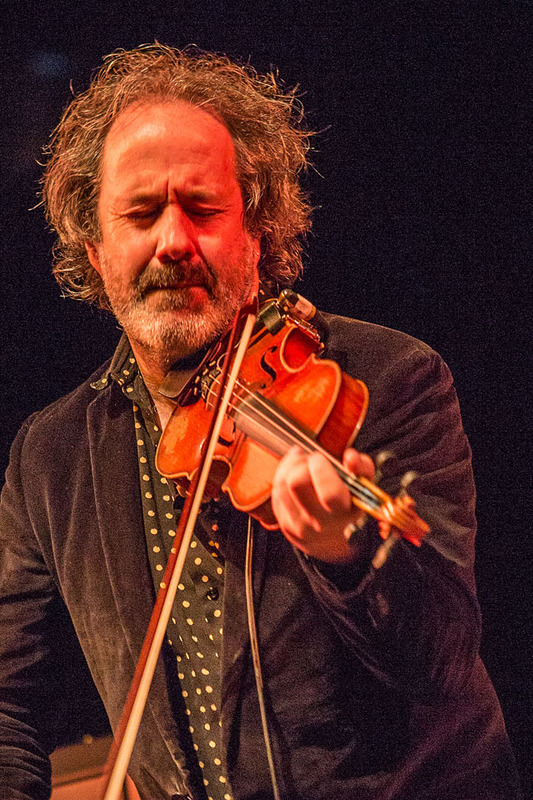 I saw Mike Scott of The Waterboys many years ago at Glastonbury when he was sitting by a path with Mike Chadwick (Levellers) and they were jamming away, a free session and an amazing experience. While most people were waiting for ‘The Whole of the Moon’ I was mesmerized by the show and after I came out of the photopit I just sat and listened to for me what was the set of the festival. 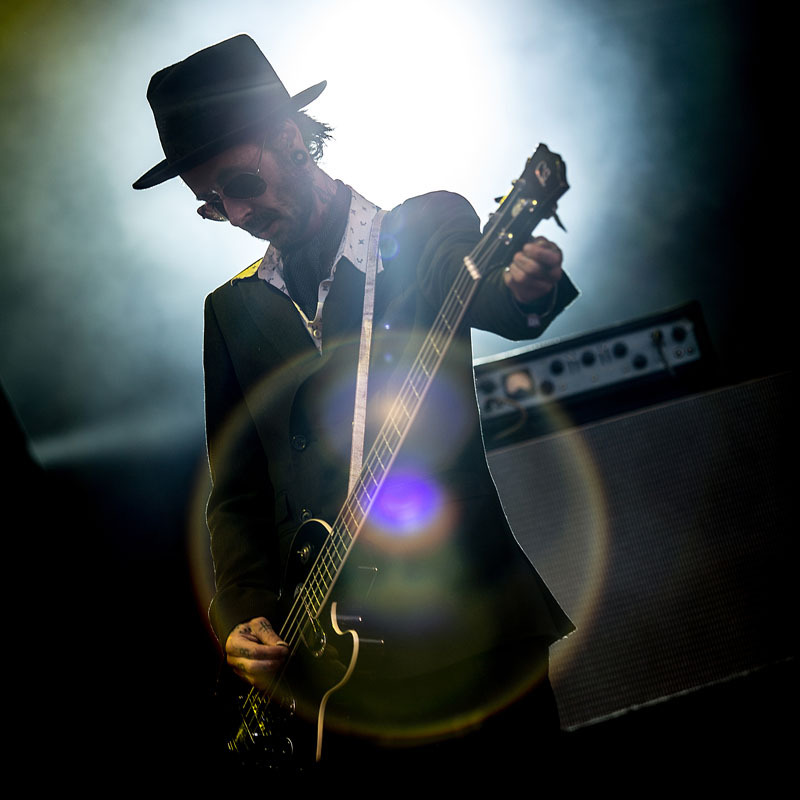 Songs like ‘And A Band On The Ear’ and ‘A Girl Called Johnny’, and Mike was on great form on the 12 string. Then we get to ‘Mad As The Mist And Snow’ and the whole show gets a bit surreal as James Hallawell (keys) and Steve Wickham (fiddle) come back on stage in half masks. Mike returns to the stage wearing a freaky three-faced mask and reciting the Yeats poem ‘The Second Coming’. Simply an awesome set. As the fields fill up we are in for the first full day of music which for the past years has kicked off with a set from the current BBC Radio 2 Young Folk Award winners. This year The Mischa Macpherson Trio create something that is interesting and invigorating for new folk listeners to enjoy listen to, whilst still appealing to the more traditional audiences. Keeping things feminine – at least in the vocal department – Deborah Rose and Edwina Hayes are both very different in style but both performed great sets. It was rumoured that Deborah was going to bring Robert Plant onstage, which unfortunately didn’t happen due to contractual reasons, but the multi-talented Anna Ryder played horns for a few songs. 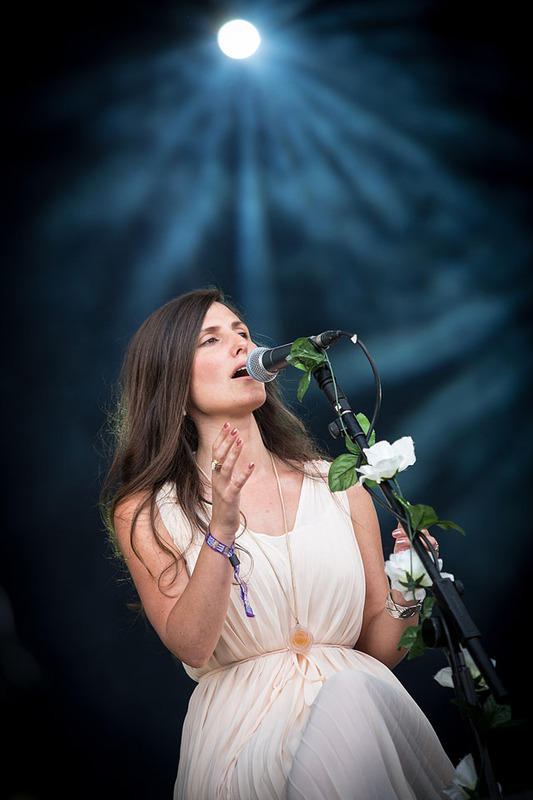 Edwina Hayes reminded me of Kate Rusby with her deep northern accent and effortless vocal delivery. 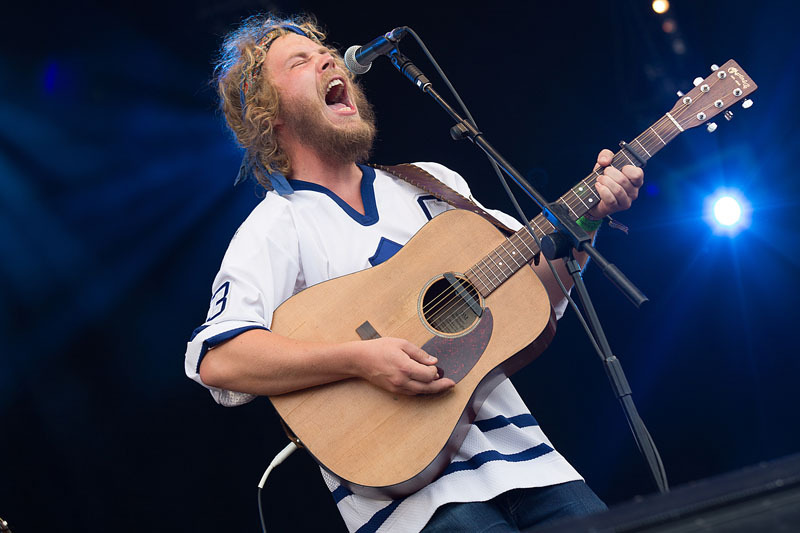 The Ben Folke Thomas Band, fronted by a Swedish born and now London-based singer songwriter with a slight John Martyn edge to his vocals and delivery, played a lively set mainly off new album Too Close to Hear. This gave the amassed fans at the front something to dance to. 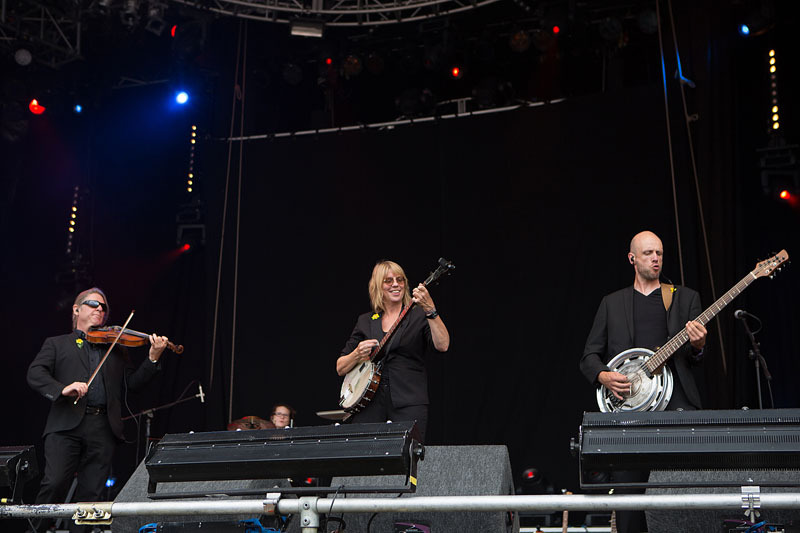 The Churchfitters mix traditional instruments with folk/rock and sometimes funky rhythms into a lively and exciting set. Some great musicianship from one of my favourites of the festival. We’ve seen The Travelling Band at various festivals over the past few years, and they do a damn good job of blending rock/pop/folk. Fronted by Andy Gorman on vocals who also throws in some great Hammond licks as they play a number of tracks off their new album The Big-Defreeze. Always a great set by these guys and a band to look out for at future festivals. It has only been a few months since we saw The Wonderstuff give an amazing performance at Bearded Theory Festival. Miles Hunt was yet again full of energy and vigour and blasted through ‘Size Of A Cow’ and ‘Welcome To The Cheap Seats’. As fiddle player Erica Nocknals left the stage he announced it was time for the boys stuff as the launched into four tracks including ‘Galway To Graceland’, ‘Wish Away’ and a tribute to Joe Strummer in ‘Silence Be Thy Name’. Definitely one of the liveliest and most engaging sets of the weekend. 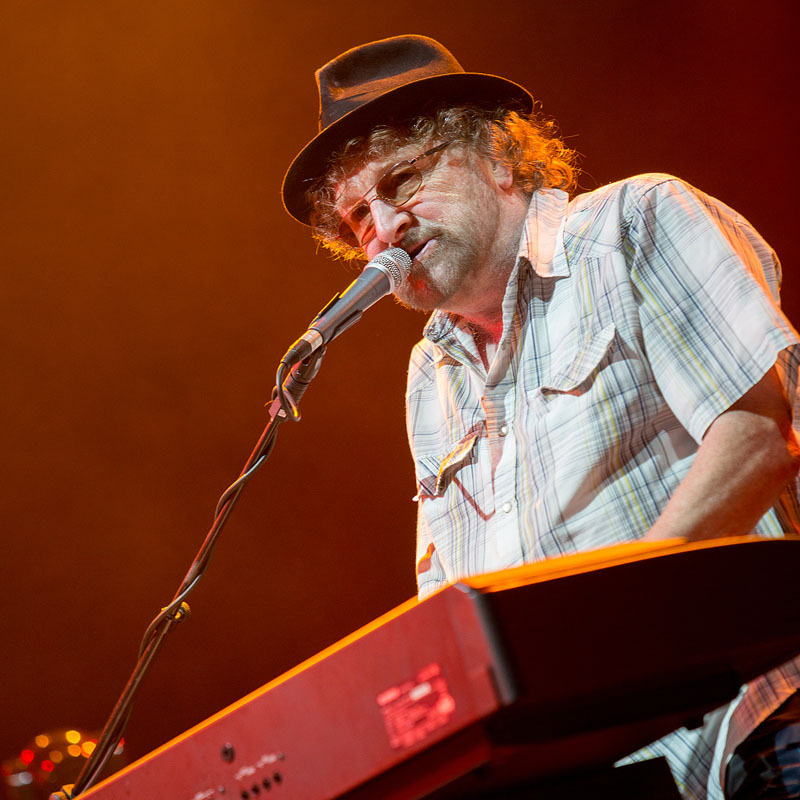 Chas and Dave are tailor-made for a festival like Cropredy. 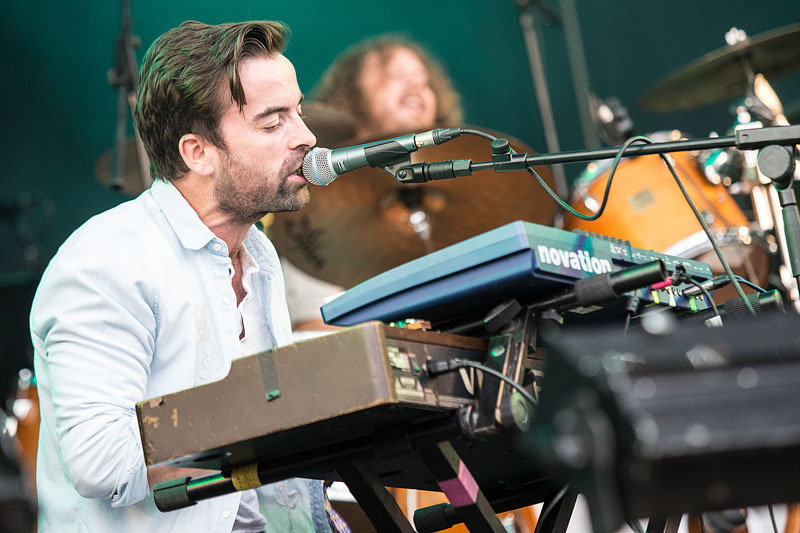 With Chas banging out the tunes on the keys and Dave swaggering around with the bass they belt out a really enjoyable set with all the favourites – ‘Rabbit’, ‘Snooker Loopy’ and ‘The Sideboard Song’ among them. A great bit of light hearted fun before the mega show that is to follow. 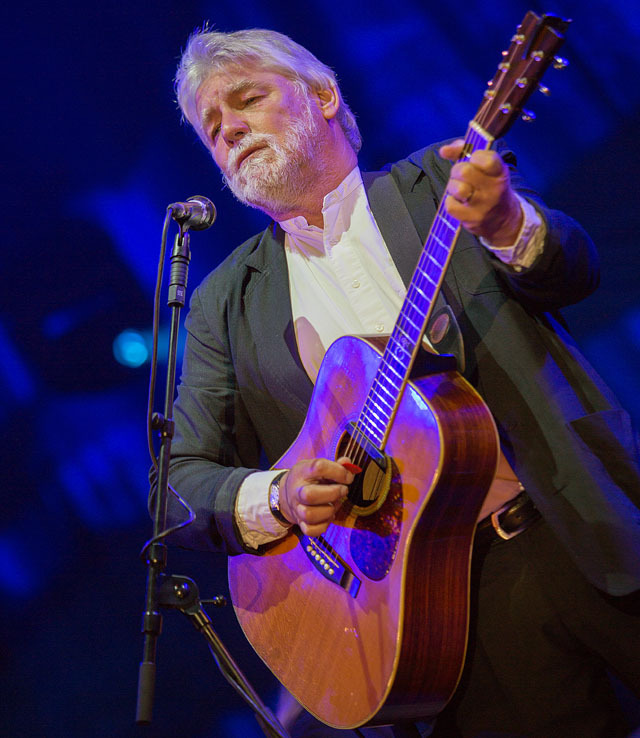 The heavens continued to spill as The Australian Pink Floyd took the stage – perhaps a wild card to some as they are basically a tribute band, but nevertheless they have kept a huge crowd. Whether or not they are recreating a Floyd show or just making it Floyd-ish they certainly pack the stage and lighting rig with enough kit to light the whole county. Kicking off with the tribute to Syd Barrett ‘Shine On You Crazy Diamond’ you certainly could be at a Floyd gig, continuing on through with ‘Time’, ‘Wish You Were Here’ and ‘Echoes’. My only issue is that they do tend to stick with the same post-Syd era and don’t do any of the early psychedelic stuff. Finishing with ‘Run Like Hell’ they certainly did fulfill their headline status and were well received despite the still falling rain. Richard Digance, love him or loathe him, is what Cropredy is about. When he gets his political wranglings out of the way he sings good old ditties and songs about all things British and he even gets the whole field waving their white hankies in the air like a huge Morris dance. 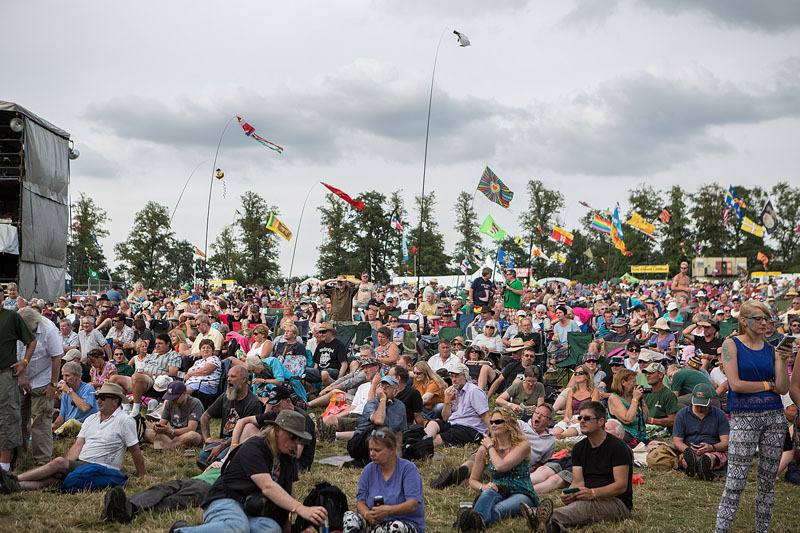 There can be no better way to kick off a sunny Saturday in August – Cropredy is the quintessentially English festival where tea/scones and cucumber sandwiches wouldn’t be out of place. Blackbeards Tea Party give me hope that real music is not just there for the people in tweed jackets with leather patches on their sleeves. 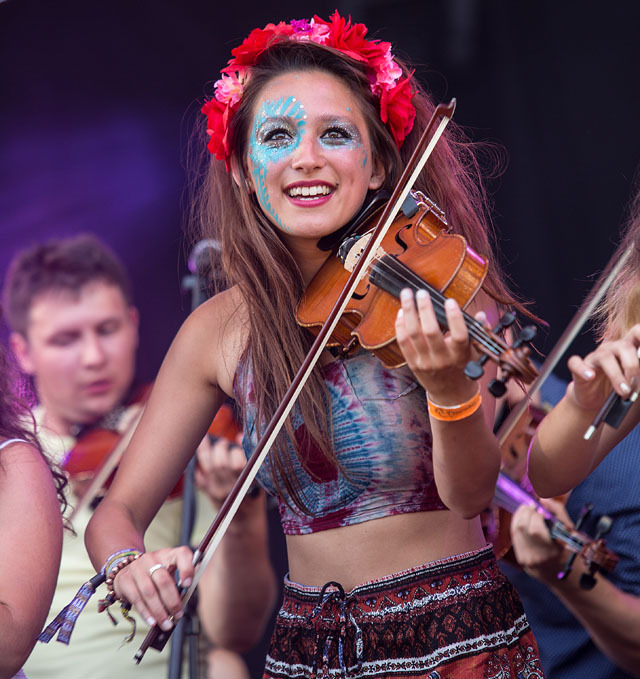 Blackbeards TP are among those up and coming bands who are taking folk and traditional instruments and injecting youthful energy to produce something that is relevant to both a younger and older audience. Like Skinny Lister at Cambridge Folk Festival they pull the crowd into the music and show that moshing is not out of place at a folk festival. 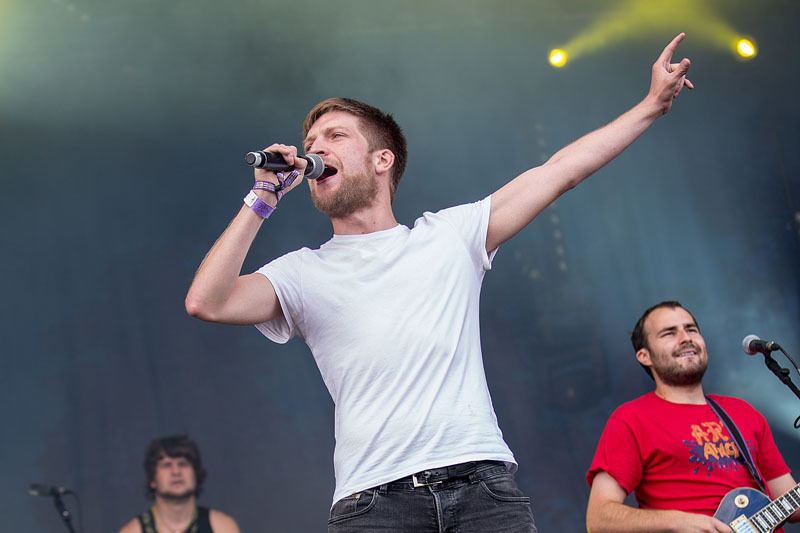 York-based they have played at most of the main folk festivals now and are certainly gathering a great fanbase. With a great fiddle player in Laura Barber and two percussionists Dave Boston and Liam Hardy their music will get even the grumpiest person smiling and dancing. Cara Dillon was joined onstage by her band that included her partner Sam Lakeman for a stunning set of her work which as always went down extremely well with the crowd. The final prog/rock band of the weekend, Marillion, a tail of two vocalists. 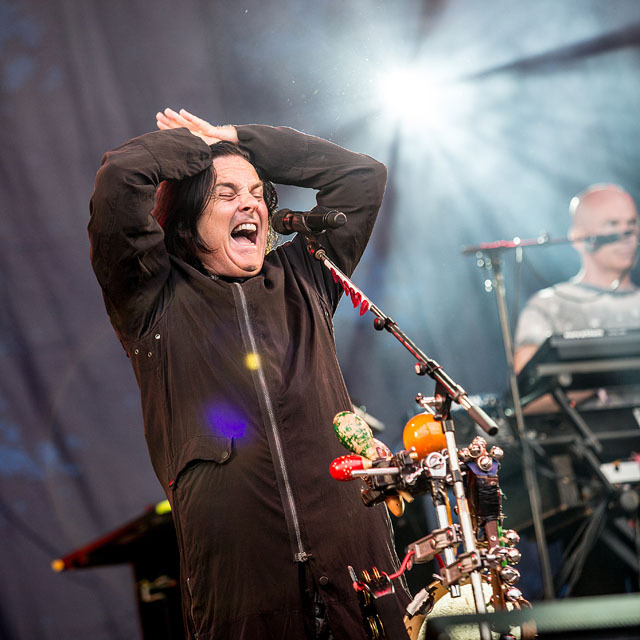 Some fans say that the Fish-era is best and some say that Steve Hogarth has taken the band to places they would never have reached. Whatever, they are without doubt one of the finest prog/rock units around. 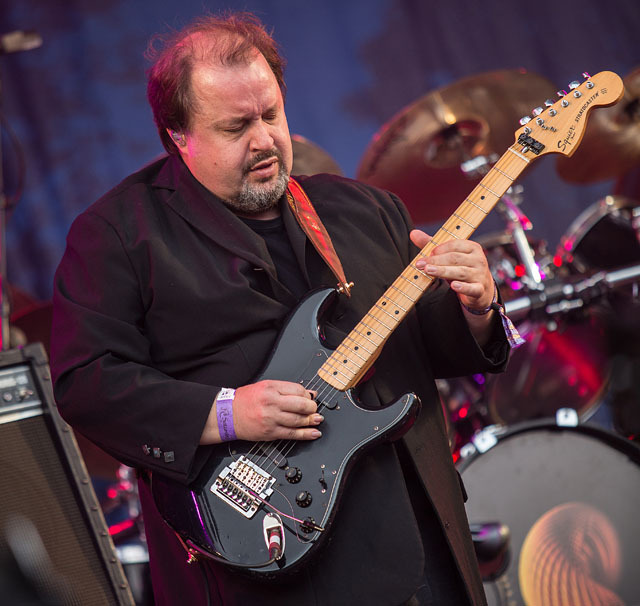 With over 17+ albums to choose from the set was always going to be a good one and indeed it was, kicking off with ‘Splintering Heart’ and ‘Easter’ Steve excelling on vocals and matched by some amazing guitar work from Steve Rothery. The crowd appeared partisan, singing back and cheering along to the tracks, even the new material from ‘Sounds That Can’t Be Made’. Then they dropped in ‘Kayleigh’ and ‘Lavender’ both from the Misplaced Childhood album – great tracks, and I’m sure ‘Garden Party’ would have gone down well too. There is no doubt that this is a band at the top of their game and, with the newer material, still producing great music and gigs. Historically the slot before Fairport is one of the hardest ones to play and there have been some really shaky ones over the years but this year is definitely the exception. 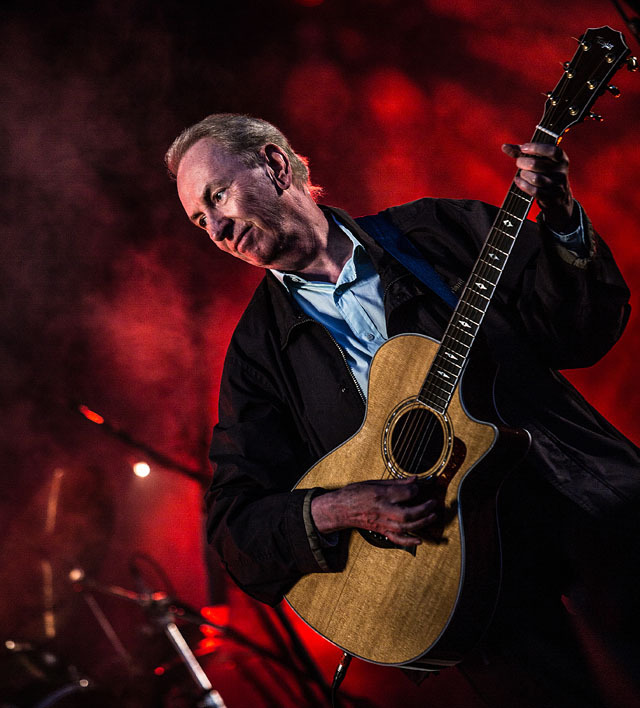 Al Stewart kept the crowd mesmerized for an hour while he ran through a collection of tracks off his substantial back catalogue including ‘Oh Carol’ and of course ‘Year of the Cat’. He was joined on stage by Dave Nachmanoff, a whizz on guitar, and also for the last part of the set by Tim Renwick. This year Fairport Convention have cut down their festival-closing set from the usual 3-4 hours to 2 hours much to my dismay as it means something had to be cut, and this year it was the fact that there were no special guests. It doesn’t matter what set they play as it is always amazing to watch and listen to and this year is no different. Great versions of ‘Walk Awhile’, ‘The Hiring Fair’ and ‘Matty Groves’ and an exquisite and as-ever-emotional version of the Sandy Denny song ‘Who Knows Where The Time Goes’ which saw Sally Barker step up for the vocals. The band were having great fun up on stage and are musically as good as ever with Rik Sanders and Chris Leslie trading riffs on the fiddle/mandolin and Chris and Simon Nicol taking turn at the vocals. In all the years of coming here – and also seeing them elsewhere – I have never seen a bad show by them. One of the longest running Fairport traditions is the set closer ‘Meet On The Ledge’ – where many artists join Fairport on stage and musicians and audience unite to shed a tear and raise a cheer to friends gone by. Cropredy is over for another year but unlike all other good things this does not come to an end. The dates have already being announced for next year: 13th to 15th August 2015. This entry was posted in All Posts, GIG REVIEWS, Special Events and tagged 7-9 August 2014, acoustic, Blackbeards Tea Party, Cara Dillon, Chas & Dave, Cropredy, Deborah Rose, Edwina Hayes, Fairport Convention, festival, folk, gig, Marillion, Mischa Macpherson Band, Oxfordsgire, prog, progressive, review, Steve Hackett, The Australian Pink Floyd, The Churchfitters, The Waterboys, THE WONDERSTUFF. Bookmark the permalink.